A Secret of Mana Remake is in the works with a set release of February 15, 2018. Gameplay footage from PlayStation Underground shows off the updated game in all its glory. Check out the video below to see 13 minutes of gameplay (along with some pretty hilarious commentary). Secret of Mana initially released in 1993 by Square Enix and became a classic action RPG for the era. The game is charming and nostalgic for many and has a unique combat system. Players can control their individual characters by bringing up a “ring” menu to issue commands, equip gear, use items, etc. 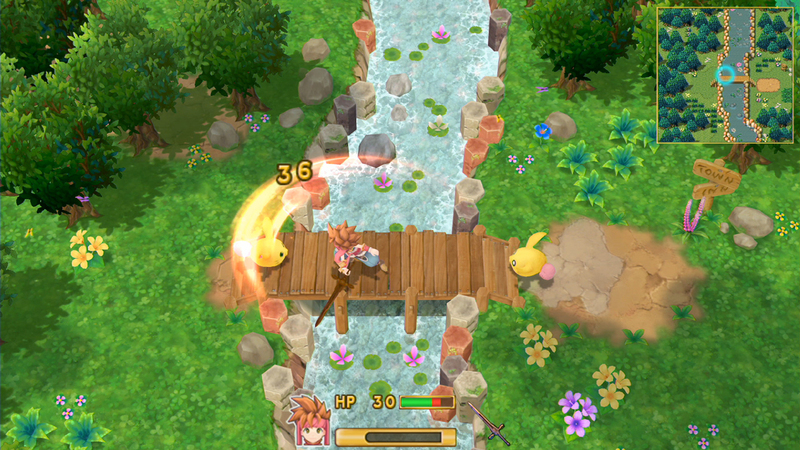 Like other Square Enix games Secret of Mana uses a turn-based system, however, in this case, your character must react in real time as you wait for their stamina bar to fill. The game only actually freezes when you call upon the ring-menu screen. This makes for a more action-packed experience since you must react quickly to your enemies and be strategic about character placement and attacks. Players can choose between melee weapons like spears, axes, boomerangs, arrows, whips, and swords (no lack of options here), or they can decide to go the magical route, depending on their character. Now as a kid I would chain spells by re-opening my wheel menu the moment before the spell was cast, which basically guaranteed victory. Cheating? Perhaps. Effective? Absolutely. 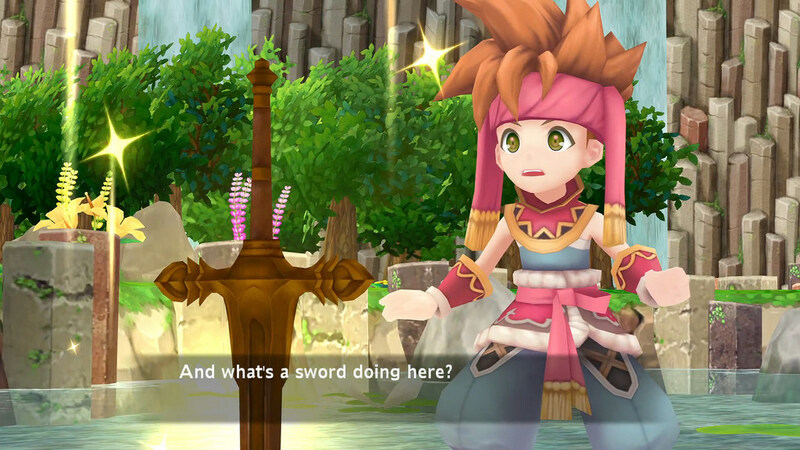 The remake of Secret of Mana will take what the original gave us and build upon it, making it perfect for repeat players or an entirely new audience. To me, it seems to have a similar visual style to A Link Between Worlds, as a 3D top-down game that evolved from its 2D predecessor. Players that grew up with Secret of Mana may miss the nostalgic pixelated graphics, but you can’t deny the game has a certain charm to it. The Secret of Mana Remake is being released for PC, PS4 and the Vita, but getting your hands on a physical copy may provide difficulty. Hard copies will be produced for the PS4 only and in limited supplies. You can find them at Gamestop in the US, and EB Games in Canada – however, digital copies are a great backup plan if you cant snag an actual disk. Pre-orders are also available, and players who do so will get the opportunity to unlock additional skins for their main characters. Overall this re-release is a great opportunity to replay a classic game, as well as bring a new generation of gamers into the Secret of Mana world. Kingdom Hearts 3 PC Release Date – Will Kingdom Hearts 3 come to PC?